It all starts with the milk. The key is freshness, quality and the care Oregon cows receive. Because of that, the state’s dairy processors earn honors for milk, rich ice creams, flavor-packed cheeses, cottage cheeses and yogurts. Nearly 70 percent of Oregon dairy farmers belong to a co-op. With TCCA , Farmers Cooperative Creamery and Northwest Dairy Association are Oregon’s major co-ops. Managing a dairy and a processing plant often runs in the family. 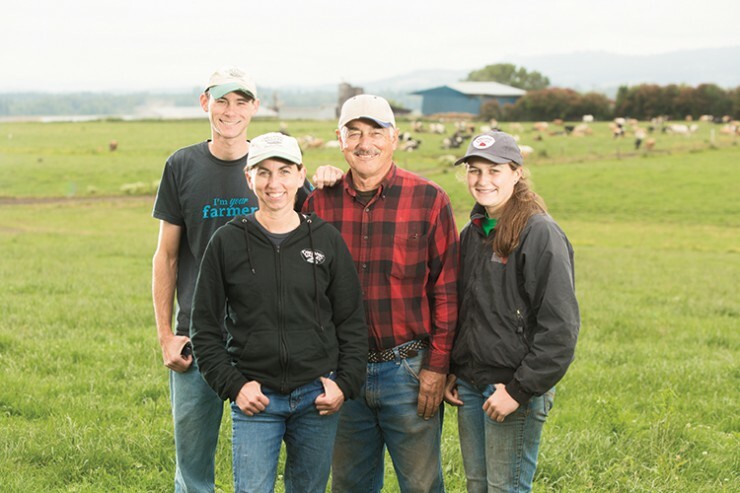 In Oregon, Alpenrose, Eberhard’s Dairy, Lochmead Dairy, Springfield Creamery and Umpqua Dairy are all operated by multi-generational families. Oregon dairies of all sizes and types pamper Oregon’s dairy cows with excellent nutrition, which is key for cows to stay healthy and give high-quality, wholesome milk. Cows eat 75 to 100 pounds of food and drink about 25 to 50 gallons of water each day. Many of Oregon’s dairy farmers feed cows from their own lands. Cows at Sar-Ben Dairy graze on ryegrass, white clover, orchardgrass and some chicory, and in the summer on the leaves of young radish and turnip plants. “It’s becoming what we describe as a salad bar for the cows,” says Sar-Ben Dairy’s Steve Pierson. Sar-Ben uses an intensive rotational grazing system, which means the cows graze on specific portions of pasture for short periods of time, moving every 12 hours. Cows complete the rotation through the pastures every 18 days. In addition to nutrition, Oregon dairy farmers know herd health is also tied to comfort and care. Veterinarians regularly visit dairy farms for preventative medicine, check-ups and prompt treatment of illness. Farmers also work in concert with the environment, with most living on the land where they have their dairies. Protecting land and water quality, and implementing sustainable practices are ways of life for Oregon dairy farmers. Coupled with high-quality products in the dairy case, Oregon’s dairy processors get kudos for award-winning community and global solutions like methane digesters making electricity, zero-waste processing plants and Prevention Magazine’s Cleanest Packaged Food Award. In turn, the cows reward Oregon’s farmers with milk unmatched in quality. 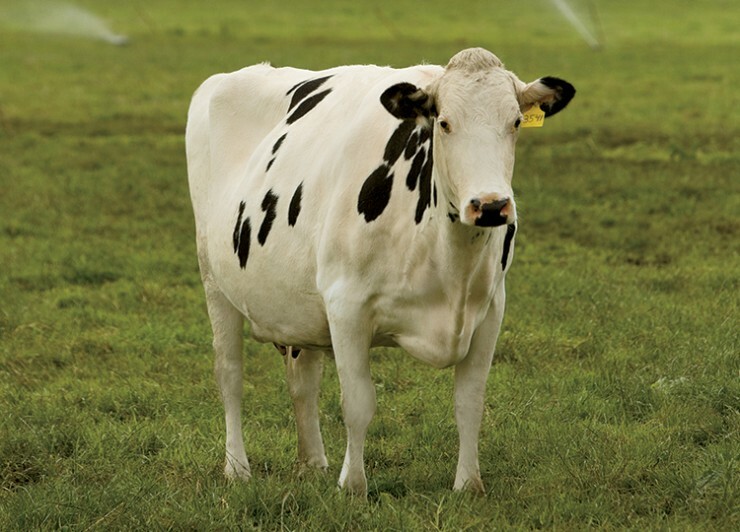 The average Oregon cow produces 56 pounds of milk a day on an average farm size of 300 acres. Dairy farms in the state produce roughly 2.5 billion pounds of milk annually. That milk is processed into cheese, yogurt, ice cream, butter, and other specialty products including lactose and whey protein, which are used in protein sports drinks and energy bars. Award-winning and innovating describe Oregon dairy farmers and processors. I want to know more about the rotation of pasture every 18 days. 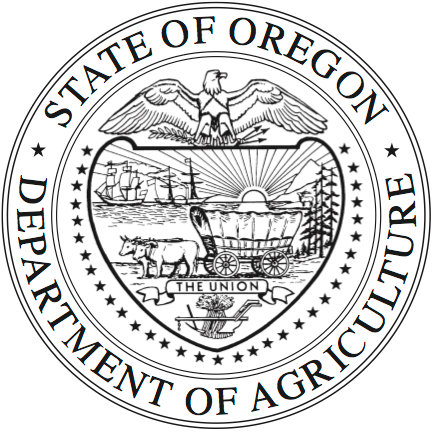 A look at Oregon’s top agricultural commodities based on production value.